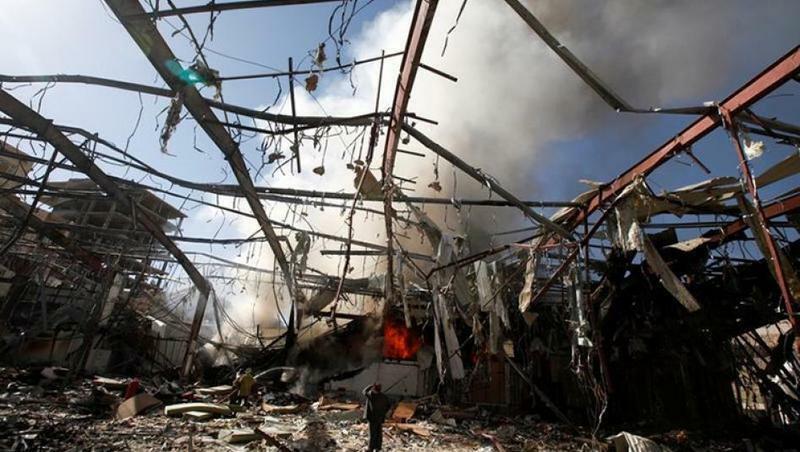 The remains of a community hall in Sanaa, the capital of Yemen, after Saudi-led coalition warplanes attacked a funeral ceremony there on October 8, 2016. Last weekend, Mohamad Bin Salman, the Saudi Crown Prince and the architect of the devastating war in Yemen, ordered the arrests of some of the country’s top political and business elites. On this week’s media roundtable, we’ll discuss coverage of the ongoing crackdowns in Saudi Arabia. We’ll also talk about the publication of over 13 million leaked documents dubbed the Paradise Papers. They reveal how political elites and major corporations use offshore tax heavens to avoid paying taxes. Join the conversation on the next Your Call, with Rose Aguilar, and you.